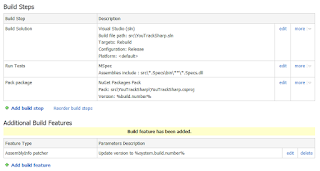 TeamCity NuGet plugin provides a build runner to publish a NuGet package to the feed. 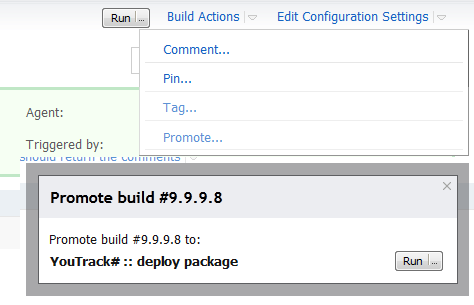 It makes it quite easy to make TeamCity create and publish a package from every build. 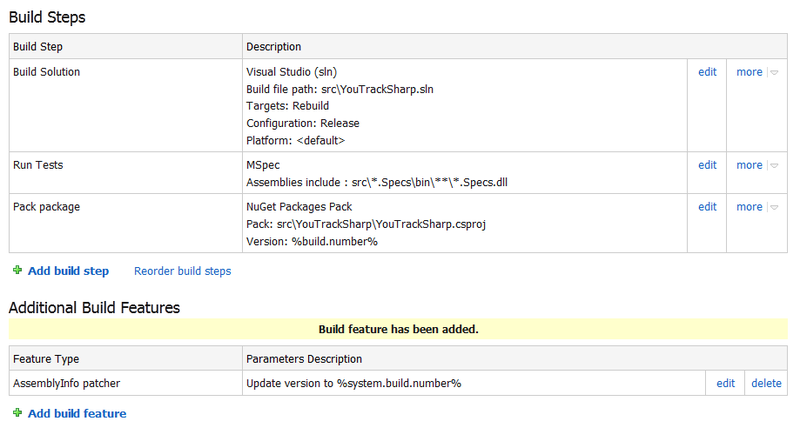 For some reason you may not need to publish every created NuGet package to the feed. In this post I'll describe how one can configure it with TeamCity. One configuration to create a NuGet package and publish it as a build artifact. In my example I will setup the build of YouTrackSharp project. To minimize the blog post I omit some details which are greatly described in the post by Hadi Hariri. Now the setup of the first step if finished. Let's move on to the other step. In the Dependencies section of the second build configuration I created a new artifact dependency to the first build configuration. TeamCity will download artifacts of the first build configuration into the checkout directory of the second configuration. 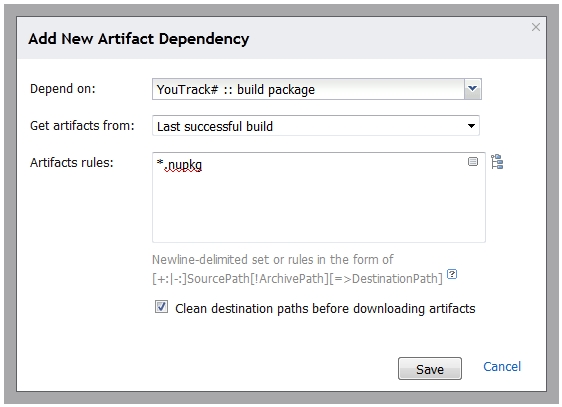 In my example I prefer taking that latest successful build artifacts. To publish a specific build of the NuGet package: open a build of the first configuration, notice a 'Promote...' action in the 'Build Actions' menu. All you need next is just to press Run button!